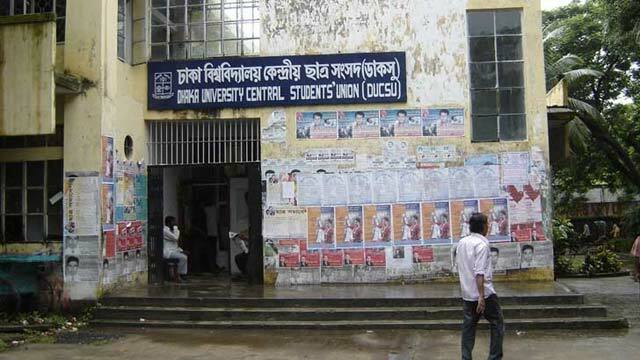 Dhaka, Sep 12 (Just New): A contempt of court petition was filed with the High Court today against the Dhaka University vice-chancellor, proctor and treasurer for not complying with its directive over holding the Dhaka University Central Students Union (Ducsu) election. Advocate Manzill Murshid submitted the petition on behalf of Sumitra Das, a former student of DU, praying to the HC to issue a rule asking the VC, proctor and treasurer of DU to explain why they should not be punished for violating its directive. The lawyer said that the HC may hold hearing on the contempt of court petition on next Sunday. On September 4 this year, Advocate Manzillsent a legal notice to the VC, proctor and treasurer of DU for taking steps to hold Ducsu election within seven days. The VC of DU recently replied to the legal notice denying the allegation of committing contempt of court, Manzill Murshid told this correspondent today. On January 17 this year, the HC directed the respondents to hold Ducsu election in six months, following a writ petition filed by 25 former DU students. The court also ordered the home ministry to provide necessary assistance to DU authorities to maintain law and order during the polls. The HC order was officially sent to the respondents in February this year, the lawyer said, adding, that the stipulated time for holding elections ended in August. But, the authorities have not taken any step for holding the polls, which has created grounds for a contempt of court case against them, Advocate Manzill said. The last election took place on June 6, 1990. Students have been demanding the polls for a long time. Due to the absence of Ducsu, which played a vital role in all democratic movements of the country, students are being deprived of their rights, they said.